eel river | what would henry do? 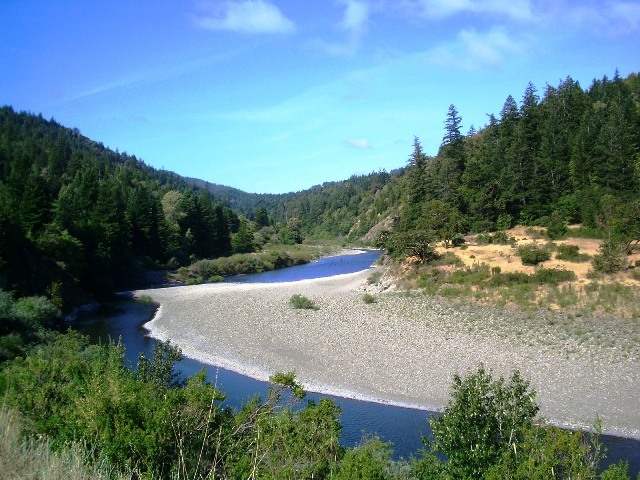 In Humboldt County, one of the places you can cool off in summer is the Eel River. I know this because I’ve been reading books about, among other things, the medical cannabis industry in California. Books like Too High To Fail, Pot Farm, and Humboldt. The stories in these books depict a lush, green, dangerous world light-years removed from my own. Although I had a pretty idyllic childhood by 1970’s suburban America standards, my biggest adventures at that time consisted of riding my bike (by myself!) to the P&C in Geddes Plaza, buying a Coke (in a glass bottle) and then maybe stopping in to Dom’s Coffee Shop to play a few games of Asteroids before I got kicked out for not being a paying customer. By contrast, one of the characters, Emma, in Humboldt, used to hike with her friends down a muddy road in the woods to cool off by skinny-dipping in the Eel River after it had been swollen by the spring rains and was deep enough to swim in. Not to mention that Emma’s mom and the parents of most of her friends were pot farmers. This is not to say that I wish my childhood was any different from what it was, even if the closest I ever got to Emma’s experience was riding through a mud puddle on my way to the Solvay Pool. I’m only thinking about this now because of my own capacity for being altered by small details. A few words in a book, a minute observation, can send me down my own muddy road of what-ifs. Like Nabokov’s pesky sandwiches, I can’t help thinking about other people, other places, other possible lives. Even though I know the only one I can possibly live is my own. It’s probably because, as much as I don’t want to admit it, summer is almost over (the breeze that blows through my window as I write this is a decidedly fall breeze) and even though it was a special one (as they all are, really), I can’t help thinking about all the adventures not taken. Of all the things I might have done. Of just one more day on the island. Of one more night with family and friends. Of one more dip in the pond. Of even one more hour, or minute, at the beach. I know we can only lead one life at a time, and to inhabit it fully, without regrets. Still, I can’t stop looking for that muddy road in the redwoods that leads to the eternally perfect swimming hole. And then diving in.